We have an ever growing database of conference venues, with key contacts in all areas of London. If you are looking for a conference or meeting venue in London try our free service. 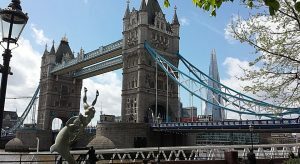 The large conference venues in London can hold the some of the biggest congresses, conventions and events in the world. Morris organise huge events with military precision and negotiate and broker some of the highest level meetings and conferences ever to grace the capital city. We are always interested and committed to your conference and events in London. We will find the most suitable meeting venue at the price you want to pay. Our helpful staff constantly updates their knowledge through visiting the meeting venues and hotels. We build relationships with the staff and have the ability to find you space even on the busiest dates. Conference venues in London know Morris Conferencing and recognise the value of working with a boutique consultancy such as ours. We save meeting and conference venues from employing armies of sales staff. You don’t want to be cold called or emailed. Finally, this also saves the cost to the planet of sending out mountains of paper brochures and leaflets. As a result, we are a quick and safe route to your next conference venue in London. To enquire about holding an event, conference or meeting in London, call 0843 289 7787 or email info@corporateconferences.co.uk to talk to one of our expert consultants today!